Branches and Bubbles – a pairing for powerful productivity. Simplicity is a major part of both DropTask and iMindMap, and so their integration is as straight-forward as you’d expect. Export your Mind Maps into a new DropTask project, and watch as your branches of ideas burst into bubbles of action. From map to project, you’ll be presented with a clear path forward based on your own thinking, that makes perfect sense to you. Dreaming big is great – but we are far less likely to turn dreams into reality if we attempt to go at it alone. Switch your Mind Map into a DropTask project to assign tasks to others, and track their progress by using DropTask’s assignee filters. Each team member can update their assigned task with a percentage of completion, so everyone can see the real-time development of the project. 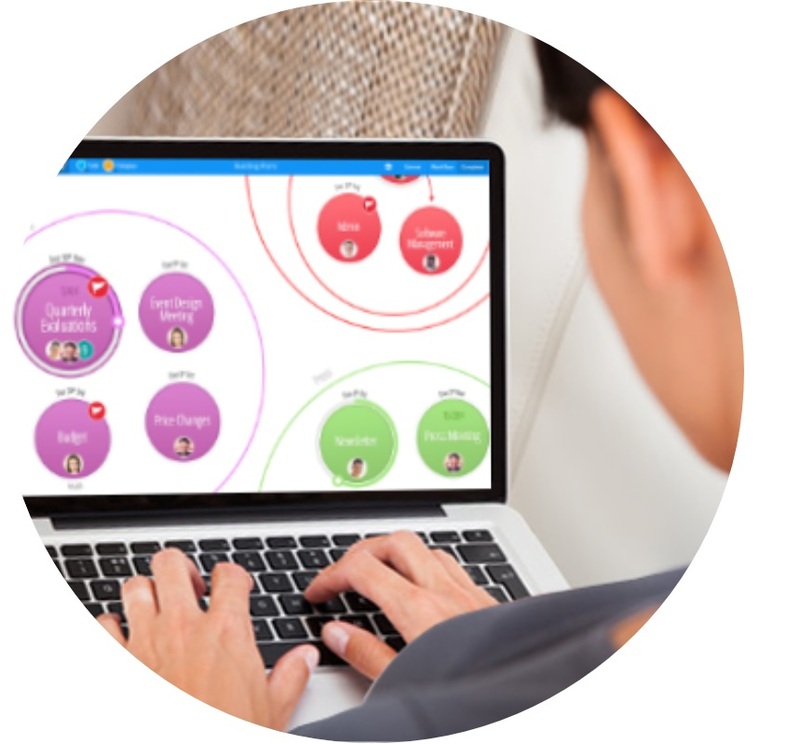 Many hands make light work, and using iMindMap with DropTask 2 makes collaboration easy and engaging. It’s easy to go back to the drawing board for a quick burst of creativity. 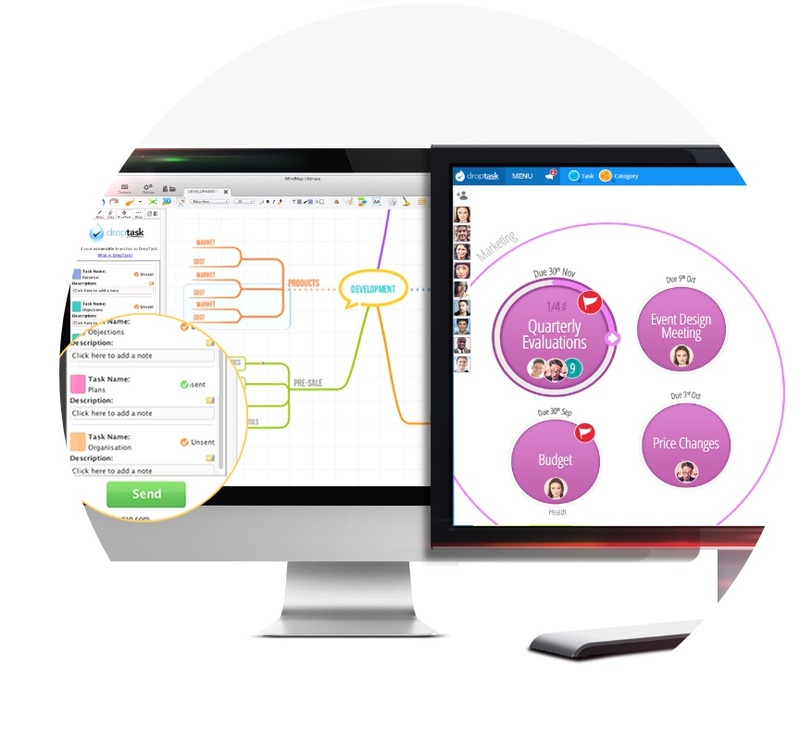 The integration between iMindMap and DropTask 2 works both ways. To build on your tasks, switch your real-time project back into a Mind Map if you need new ideas or a surge of creative thinking. With iMindMap’s infinite canvas, there is no restriction on the number of ideas you can add to your maps. 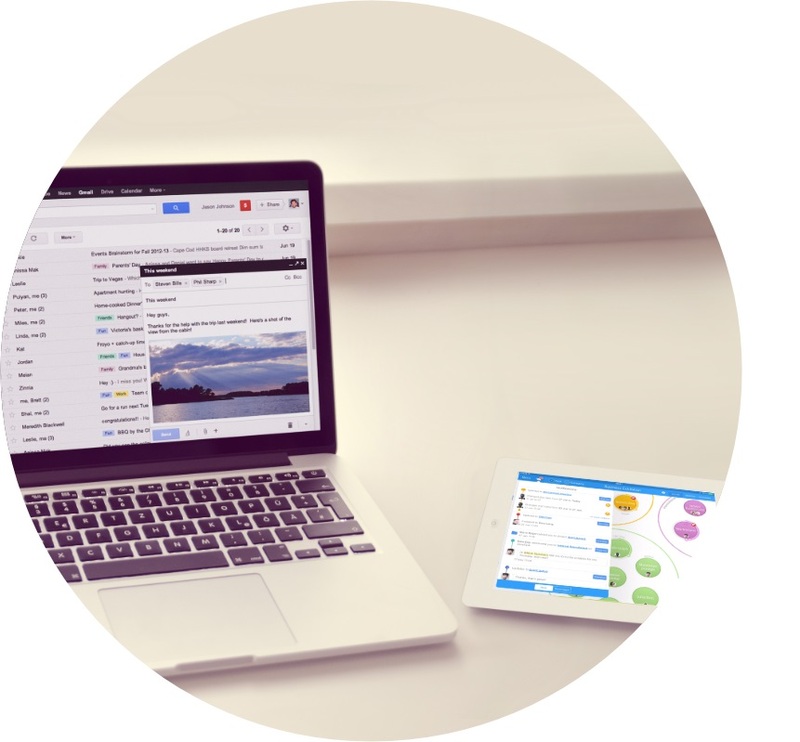 Once you’ve got the extra inspiration you need, switch back to DropTask and put these ideas into action. Take advantage of our current iMindMap offer and receive a free 12-month DropTask for Business subscription when you buy or upgrade to iMindMap 9 Ultimate or Ultimate Plus. 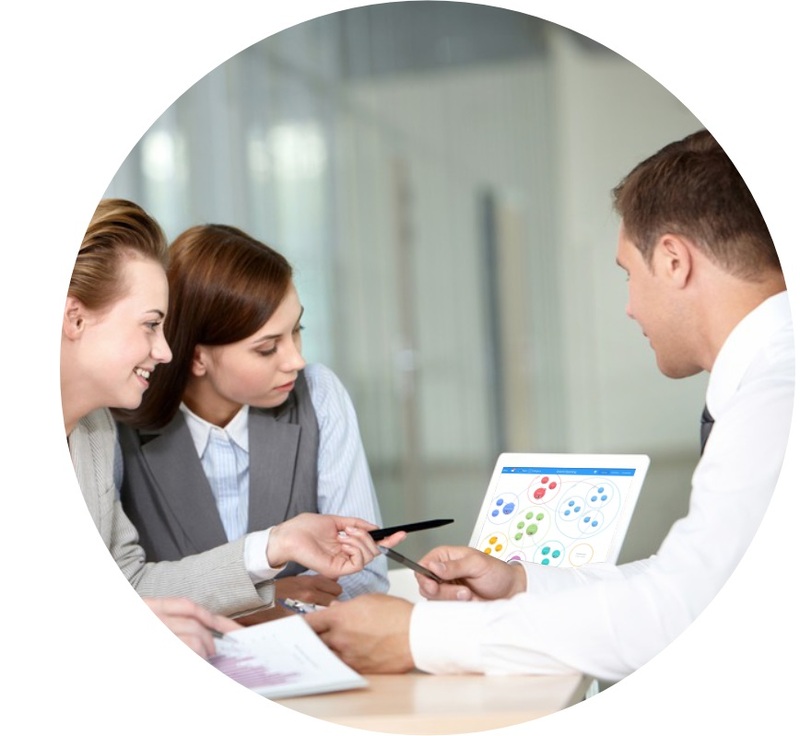 *Integration requires DropTask for Business. Hi,\r\n\r\nI am already an iMindMap 9 Ultimate subscriber. Does this entitle me to a one year DropTask for Business Subscription? Hi Patrick, \r\n\r\nIt sure does. We have re-sent the link to your DropTask coupon via email, it’s called “A thank you for purchasing iMindMap”. 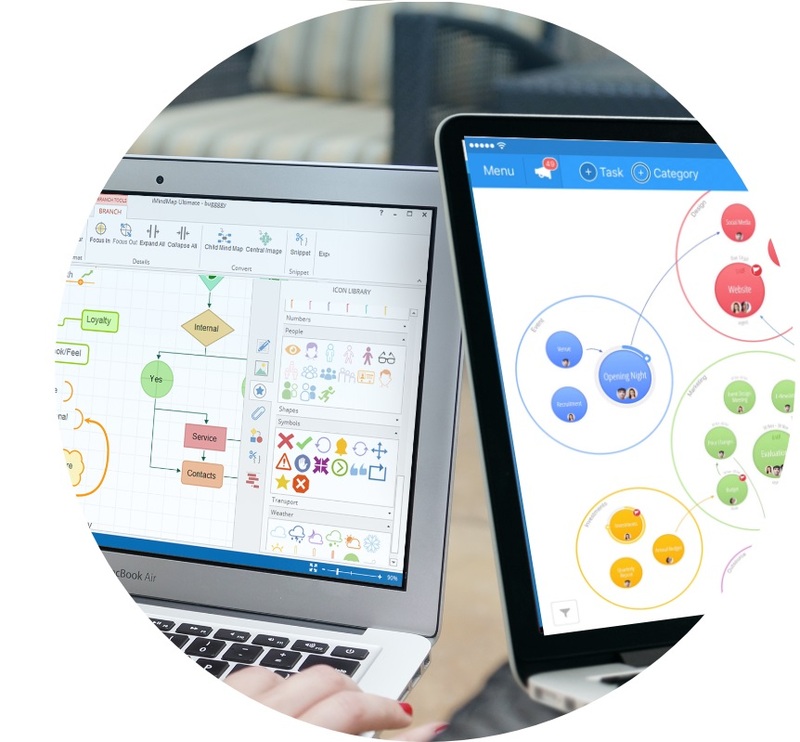 \r\n\r\nI hope you enjoy using DropTask for Business with iMindMap.